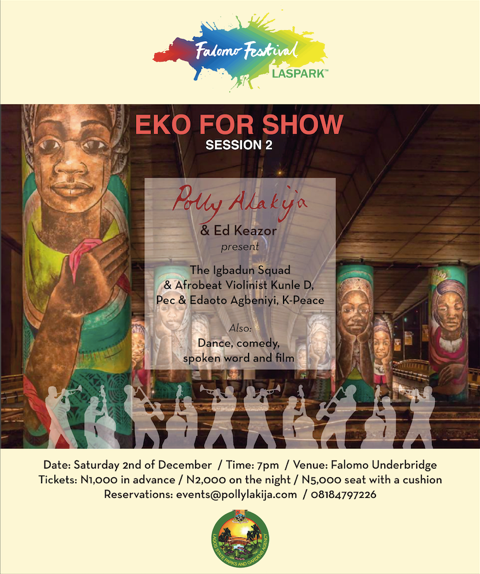 The evening shall also feature, Spoken Word Performances and Dance from a variety of guest performers. When: Saturday, December 2, 2017 at 7pm. Where: Falomo Bridge, Ikoyi. Tickets are 1,000 Naira in advance and 2,000 Naira at the gate. Reserve a pillow for 5,000 Naira and get a seat!